As part of Google’s goal to bring Internet access to as many people as possible, the company is reportedly planning to develop wireless networks in developing nations, using the somewhat unexpected and unharnessed power of blimps. 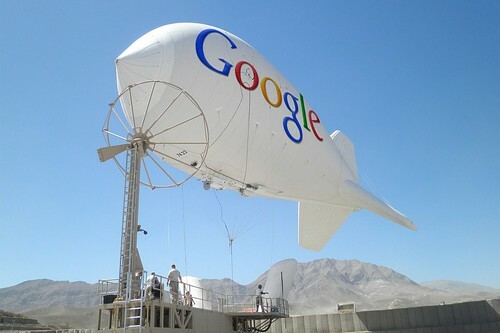 According to a report published in the Wall Street Journal, Google is working on using what it’s calling ‘high-altitude platforms’ – basically, specialised balloons or blimps – to transmit signals in areas of Southeast Asia and sub-Saharan Africa that are outside of major cities, where wired Internet access is not available. In theory, the balloons would be fitted with broadband transmitters and released into the stratosphere. Although Google is keeping quiet for now, it’s believed the balloons will transmit non-TV broadcast frequencies over hundreds of square miles. 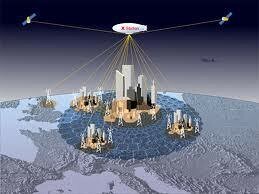 The company’s approach will be multi-faceted – along with the balloon idea, Google plans to use airwaves reserved for television broadcasts (known as ‘white spaces’ technology), and will also be potentially building a satellite-based network. Google’s plan to technify the developing world isn’t a one-size-fits-all solution, with each project coming with its own problems. According to the WSJ, Google is currently prioritising the white space broadcasting option, but is considering a combination of the three solutions in order to establish the most effective network. This unique approach by passes some of the problems associated with fixed broadband access, particularly in a region as widespread and politically unstable as equatorial Africa. It’s unlikely that there are many private entities willing to finance a broadband rollout in the area, and any government assistance tends to focus on education and health centres in urban and already-developed areas. Going wireless may help speed up the process of getting rural populations online, by capitalising on the rapidly growing use of mobile devices in the area. The company aims to join forces with local telecommunications firms and equipment providers in targeted regions to build and develop the networks. Although this scheme is being implemented by Google’s not-for-profit arm, the project is unlikely to have been inspired purely by philanthropy. By connecting more people to the Internet, Google is creating more potential Google users and customers. The more people using the Internet, the more people viewing online advertising on Google services – and as the search giant currently derives 87% of its revenue from advertising on its sites, the company needs to invest in ensuring the growth of its audience. Connecting millions more to the Internet will also enable Google to collect more data about consumer behaviour in different regions, in order to create more personalised services throughout Africa and Asia and to tailor advertising to better suit users in emerging markets. More than half of the world’s population currently don’t have any Internet access. In developed nations, 77% of people have access to the Internet; in emerging regions, this drops dramatically to around 31%. About one-third of Asians and Pacific Islanders can browse the web, but only 16% of Africans, highlighting the need to increase connectivity in the continent. With evidence suggesting that Internet access has positive effects on economic development, health, education, and democracy, Google’s philosophy is that by extending connectivity in these regions, the company is helping address global issues (and of course, if this happens to boost worldwide Android usage, so be it).